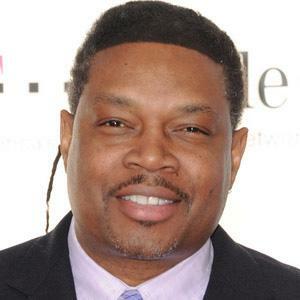 Samuel Bruce Perkins was born on 14th June 1961, in Brooklyn, New York City USA, is a former basketball player, who played for the National Basketball Association(NBA) teams the Dallas Mavericks, Los Angeles Lakers, Seattle SuperSonics and Indiana Pacers, before he retired. Sam`s career started in 1984 and ended in 2001. Have you ever wondered how rich Sam Perkins is, as of late 2016? According to authoritative sources, it has been estimated that Perskins` net worth is as high as $3 million, earned largely through his successful career as a basketball player. Apart from having club success, Sam also competed with the national team, winning the golden medal at the 1984 Summer Olympic Games held in Los Angeles. Sam went to Samuel J. Tidden High School, and then transferred to Shaker High School, where he began playing basketball, and after matriculation, he enrolled at the University of North Carolina, where he teamed up with future stars James Worthy and Michael Jordan. Eventually, he and his team won the NCAA Tournament in 1982. Two years later, he declared for the NBA Draft, and was selected as the 4th pick overall by the Dallas Mavericks where he played for the next six seasons, establishing a name for himself, and also increasing is net worth. In his first season, Sam played in all 82 games, 42 of them in the starting line-up. He averaged 11.0 points and 7.4 rebounds, which earned him a spot in the NBA All-Rookie first Team. His second season brought more playing time, and better numbers as a result, averaging 15.4 points and 8.6 rebounds per game. Perkins continued to perform well for the Mavericks, which brought a new contract to the table, increasing his net worth to a large degree. His last season for the Mavericks was the 1989-1990, in which he recorded 15.9 points and 7.5 rebounds per game. After Dallas, he joined the Los Angeles Lakers, for which he played until the mid- 1992-93 season. He had his career high average with the Lakers both in points and rebounds, with 16.5 points and 8.8 rebounds. After the Lakers, he played for the Seattle SuperSonics between 1993 and 1998, however, his performances began slowly to decline, and by the end of his stint at Seattle, Sam was averaging only 7.2 points and 3.1 rebounds per game. He finished his playing career as a member of the Indiana Pacer after the 2000-2001 season ended. Sam recorded 15,324 points, 7,666 rebounds and 933 blocks during his 18 years long career. He also set several notable marks, including having posted his first game with at least 30 points and 20 rebounds for the Mavericks, as he had 31 point and 20 rebounds; also he had career high of 45 points as a part of the Dallas Mavericks. Furthermore, Sam played in three NBA finals, but never won the ring. Regarding his personal life, Sam has been married to Dionne since 1986; the couple has three children together. Also, Perkins is known as humanitarian; he was in Sudan, co-working with famous NBA center Dikembe Mutombo, on building basketball clinics, which helped State Department to improve relations with third part countries and improve lives of people with disabilities. 2 Forward/Center for the Dallas Mavericks (1985-1990), Los Angeles Lakers (1991-1993), Seattle Supersonics (1993-1998) and Indiana Pacers (1999-2001).